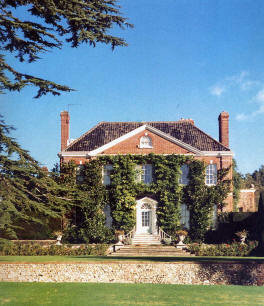 Bradenham lies approximately five miles south west of Dereham. 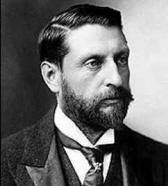 Sir Henry Rider Haggard (1856-1925) was born on a farm on the Bradenham estate on 22nd June 1856. The hall, which belonged to the Haggard family, was let at the time of his birth. His father, William Meybolm Rider, was a barrister and his mother was an author and poet. 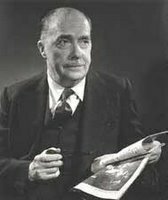 William Rider was convinced that his son wasn't going to 'amount to much' and after he attended various public schools (and Ipswich Grammar) he finally sent him to Africa - which proved to be a huge inspiration for his son's forthcoming literary career. By the time he was 29, Rider Haggard had written three failed books and he took a shilling bet with his brother to write an adventure story as popular as Robert Louis Stevenson's Treasure Island. The result was King Solomon's Mines which was published in 1885. It sold 31,000 copies in the first year and was quickly followed by a sequel featuring the main character Allan Quartermain. The hall, which is an early Georgian house, has a garden and arboretum and is open to the public at certain times of the year. In her book The Cloak That I Left Lilias Rider Haggard (Henry's daughter) recalls the fate of the hall after the family left. The estate was sold to a timber merchant. She also mentions the gravestones in West Bradenham churchyard. In 1909 L.P. Hartley visited the hall - as a guest of a family called the Moxeys - and it provided the inspiration for 'Brandham Hall' in his famous novel The Go-Between. In the novel, an elderly Leo Colston discovers an old diary from the year 1900 and he begins to recount the events of that summer. Re-entering the past, he remembers how he became a 'postman' - transferring letters between the upper class Marian Maudsley and the working class Ted Burgess. However, the cross-class love affair was doomed and ended with the suicide of Burgess. The events of the summer also have a profound effect upon the rest of Leo's life - leaving him unable to make emotional attachments to other people. In fact, signs of the zodiac are a leitmotif throughout the novel. The book was made into a film in 1970 with the leading roles being taken by Alan Bates and Julie Christie; the script was written by Harold Pinter. The film was shot mainly at Melton Constable Hall in North Norfolk but also featured a host of other stunning Norfolk locations including Hickling Broad, Heydon village and the cathedral close in Norwich.